One’s a sport utility vehicle and one’s a compact truck. Apples and oranges, wouldn’t you say? But they’re not as different as they seem. In fact, plenty of owners use the Wrangler and the Tacoma in a very similar way. One thing is for certain, they both are proficient off-roaders. But it’s tantalizing to think about these two very different takes on off-roading. Which is better at it: an SUV or a compact truck? In this comparison guide, we’ll explore that question. Pull off the trodden path of typical car articles. 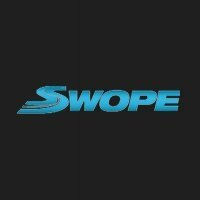 We’ll head to the undiscovered aspects of the car comparison business. Any Jeep Wrangler is a capable off-roader, what with standard features like skid plates and part-time four-wheel drive. 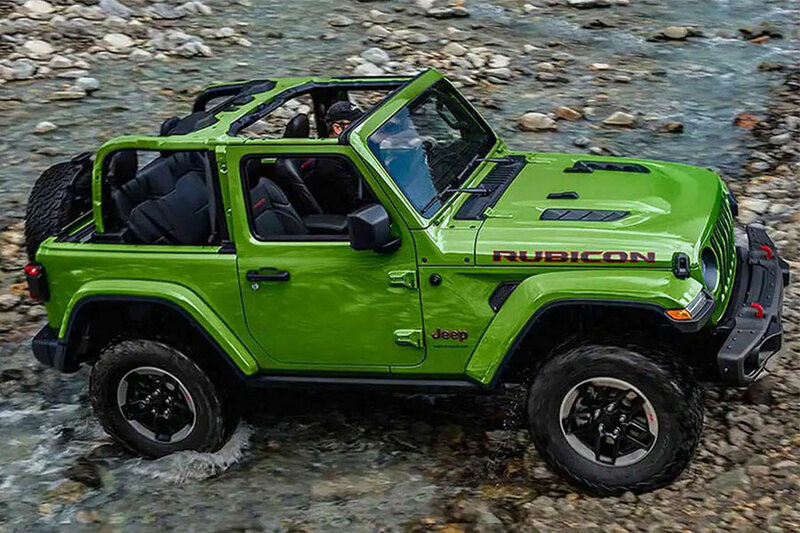 But the very best trim level for off-roading is the 2019 Wrangler Rubicon, which adds performance suspension and a locking rear differential to an already vast array of off-roading features. We like that you can put the top and sides down and get connected to the world around you. Toyota upped their off-roading game for the 2019 Tacoma. Their already adept compact pickup just scored some sweet new gear like Fox bypass shocks and unique exhaust and skid plates for the TRD Pro trim, which starts at $42,260. If that’s too much dough, there’s also the Tacoma TRD Off-Road, which starts at $33,500. There’s skid plates, multi-terrain select system with crawl control, active traction control, electronic locking rear differential, all-terrain tires on alloy wheels, and an off-road TRD-tuned suspension with Bilstein shock absorbers. But how does it compare? Though there’s more cargo room in the Tacoma and plenty of off-roading gear, that boxy body makes the Tacoma feel a bit sluggish compared to the Wrangler. And the Tacoma has nothing on the Wrangler otherwise in terms of off-roading. You would think that a truck would beat a similarly-sized SUV in raw power. But you’d be wrong. 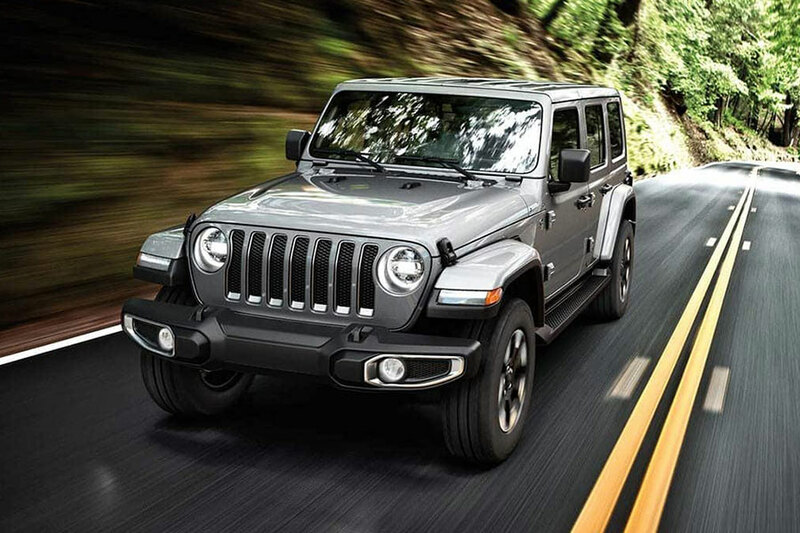 The 2019 Jeep Wrangler offers only two engine options, but they’re particularly potent ones. The base is a 2-liter turbocharged engine delivering 268 horsepower and 295 pound-feet of torque. The other, offered at every trim level, is a 3.6-liter V6 engine dishing out 285 horsepower and 260 pound-feet of torque. That’s great horsepower right out of the gate that only gets better. The turbocharged engine is a playful cat that knows how to roar. Meanwhile, the Toyota Tacoma starts things off with a 2.7-liter inline-4 engine generating only 159 horsepower and 180 pound-feet of torque. We recommend skipping this anemic engine entirely. The second engine option is the 3.5-liter V6 delivering 278 horsepower and 265 pound-feet of torque. That’s only marginally better than the Wrangler’s base engine and doesn’t really compare with the Jeep’s turbocharged offering. Like off-roading, the power is in the Wrangler’s corner.